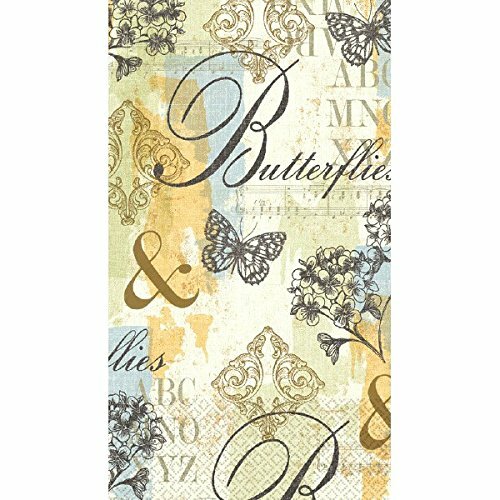 Amscan Butterfly Collage Guest Towels Party Disposable Tableware and Supply, Paper, 2 Ply, 8" x 4", Pack of 16. Give your guest the butterfly in their stomach feel when they see these Butterfly Collage 8" x 4.5" Disposable 2-ply Paper Guest Towels. Features butterfly prints and script type in an antique color palette. Made of 2-ply paper construction. Each guest towel measures 8" x 4.5". Package includes 16 guest paper towels.